Paul Merson has suggested that Marko Arnautovic might want to join Chelsea in the summer transfer window after a decent display for West Ham when they lost at Stamford Bridge on Monday. Speculation has been rife about Arnautovic’s future at the London Stadium, and many fans expect the Austria international to move on in the summer after he was widely-linked with a switch to China in January. The 29-year-old’s form has not been great since a move to the Far East broke down, but there was certainly an improvement against Chelsea last time out. 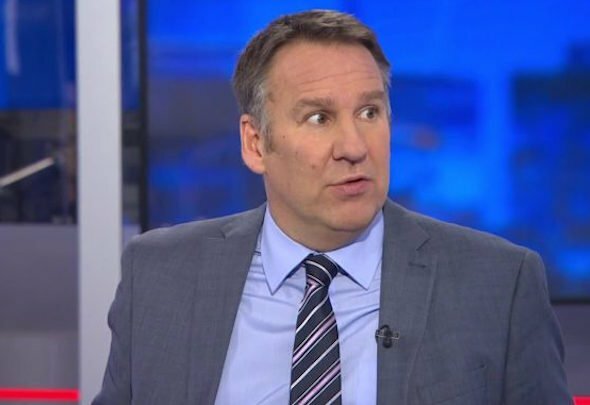 Merson claims that could be an indication as to who he wants to play for next season. “He probably looks at Chelsea and thinks ‘this is a club I might be playing at next season and I better turn it on tonight’,” the ex-Arsenal star said on Sky Sports News on Saturday [01:21pm]. It would be a massive shock if Chelsea signed Arnautovic in the summer, but this is a team who was linked with Andy Carroll and Ashley Barnes in January 2018, so anything seems to be possible at Stamford Bridge. Arnautovic is a key player for the Hammers so if he does go, they will have to replace him. He has made 26 appearances in all competitions this season but has only scored eight goals, with his last strike coming against Birmingham in the FA Cup Third Round on January 5. His form has not been great since January and some fans will surely be glad to see the back of the ex-Stoke attacker. As long as West Ham get a decent price for Arnautovic, it does not matter who he ends up playing for next season. He can go to Chelsea, he can go to China, he can go anywhere. As long as it gives Manuel Pellegrini enough money to sign someone like Maxi Gomez as a replacement, Arnautovic should go.